In 1969, Professor Lambros Comitas asked Mortimo Planno to write a text on Rastafari teachings. One year later, when Comitas returned to Jamaica, Planno gave a handwritten manuscript to him with Comitas' promise that it would made into a monograph. In 1995, Comitas had the manuscript typeset and printed and then bound a single volume in leather with gold stamping. He hand-delivered the monograph to an ailing Mortimo Planno in Jamaica. Originally, this article was printed in DUB MISSIVE Magazine, and it is another one that could be relevant for your studies of Rastafari and Christianity. The article show very clearly, that Haile Selassie sent someone to Jamaica, one of his best students, to become Archbishop of the Ethiopian Church that was given unto Jamaica as a gift from His Majesty. This all was related with the visit of His Majesty to Jamaica. Jamaican Radio Station "Ire FM" has interviewed the Prophet Gad. The Dubroom's webmaster was blessed to transcribe the interview, which has been authorized by Gadman himself for publication on RAS ADAM WEBSITE (one of the best portals for Rastafari knowledge on the Internet) and the Dubroom. This interview contains some very interesting information. 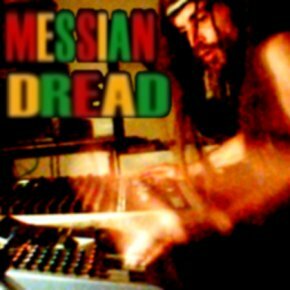 Gadman explains his views on Rastafari and the Bible, and deals with the prejudices which surround the 12 Tribes as well as the movement of Rastafari as a whole. Now that the interview has been spread across the globe, even quoted in books, it has become an essential piece of information for everyone interested in Rastafari.